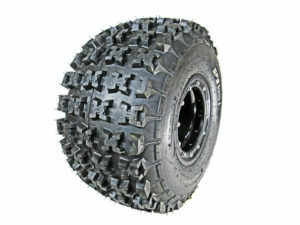 The new GPS Gravity 48 ATV front tire has proven to be a all around reliable ATV tire you can trust! The “GPS” Gravity 48 is constructed of a solid 4ply rated carcass giving you that extra confidence yet light weight and affordable. The special GPS rubber compound is designed to last longer but still have the performance & traction you expect! 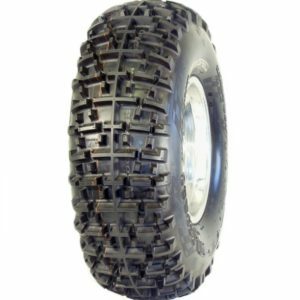 The reinforced tread design of the GPS Gravity 48 works excellent in any condition or terrain with its reinforced “2mm”taller tread depth helping tire performance & steering in Hard pack, sandy, muddy, loamy or any conditions. The directional tread design and 4 ply construction gives the operator a unique advantage due to it’s extreme light weight, it’s comfortable ride & out standing steering capability. 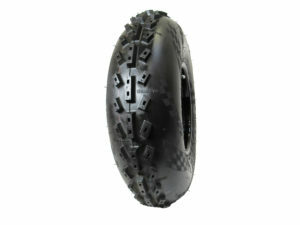 The GPS Gravity 48 4ply was produced to offer the racer a light weight version of this popular tread and allows the racer to have the option to use a flat device such as tire Blocks and not have the added weight. 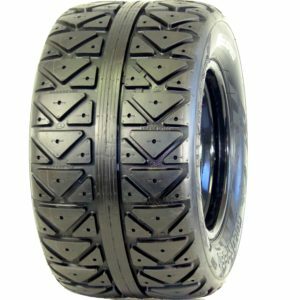 This tire also makes a very good option for the budget shopper with it’s very affordable price range. We also offer Tire/Wheel kits, Tire Block installation, call for pricing. 702-643-8473 #1. If it don’t say GPS Gravity your probably getting a cheap rubber tire.